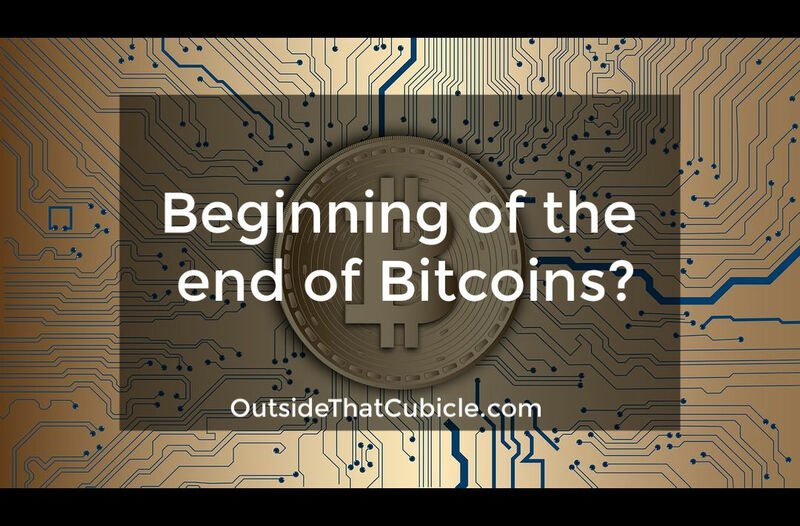 Beginning of the end of bitcoins? That’s it. 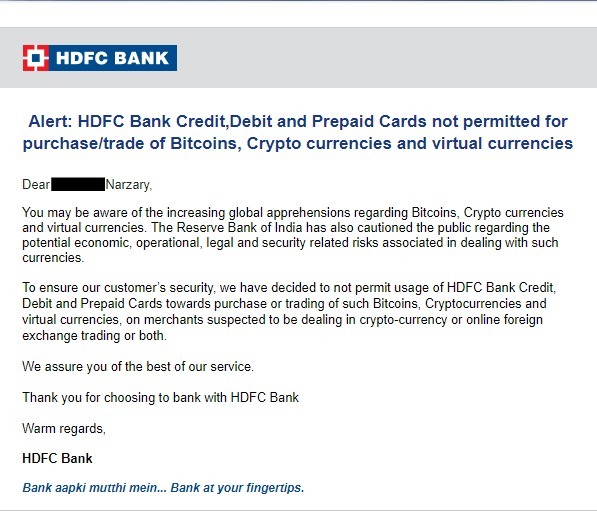 HDFC customers can no longer buy bitcoins or any other cryptocurrencies using HDFC debit or credit cards. Citibank customers have also received similar emails.They are not clear on whether one can still use NEFT, RGTS or IMPS method of deposit on platforms like Zebpay to buy bitcoins and altcoins or not. Bitcoin was trading at around $9416 on 13th March. I received the above email on that night. As of writing this, it was trading at $8501. It has tumbled almost 10 percent since then. It, in fact, fell well below $8000 before rebounding to $8000+ figure. So-called bitcoin experts predict that more is yet to come. Some like Goldman Sachs even went on to say that bitcoins and all other altcoins will eventually hit the value of $0.00. Billionaire investor Warren Buffet always dismissed bitcoins as a farce and biggest bubble in the history of mankind. But there are people who are bullish on its growth. Billionaire investor Peter Theil, Facebook co-founders Winklevoss twins, and not to mention McAfee chief John McAfee’s infamous statement on whether bitcoin will hit $500,000 or not. He said that he will eat his d**k on live television if bitcoin doesn’t hit $500,000 by 2020. Those are some extreme viewpoints to hold. Amidst these two extreme edges, let’s try and find some middle ground. Here are the top challenges to bitcoin in 2018. 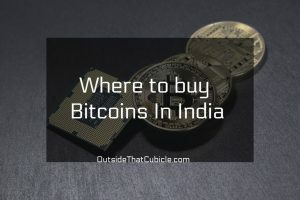 The Reserve Bank of India always maintained that bitcoins or any other altcoins aren’t legal tenders in India and that the bank discourages its usage. While the bank didn’t call for an outright ban on it, the RBI, as well as the Finance Ministry of India, always discouraged people from trading at it. Indian finance ministry Arun Jaitley went on to liken it to Ponzi scheme. Some even compared it to Tulip bubble of 1637. The Governor of the Bank of England, Mark Carney has called for greater regulation of cryptocurrencies. Finance ministers and central bank governors from the world’s 20 biggest economies are scheduled to meet in Buenos Aires on March 17-20. They will be discussing cryptocurrencies and how to regulate it. Indian Finance Ministry has already formed a team to look into cryptocurrencies and its regulation. The final announcement will reportedly be made by March end. The South Korean government has pledged to come up with a comprehensive announcement on cryptocurrencies very soon. 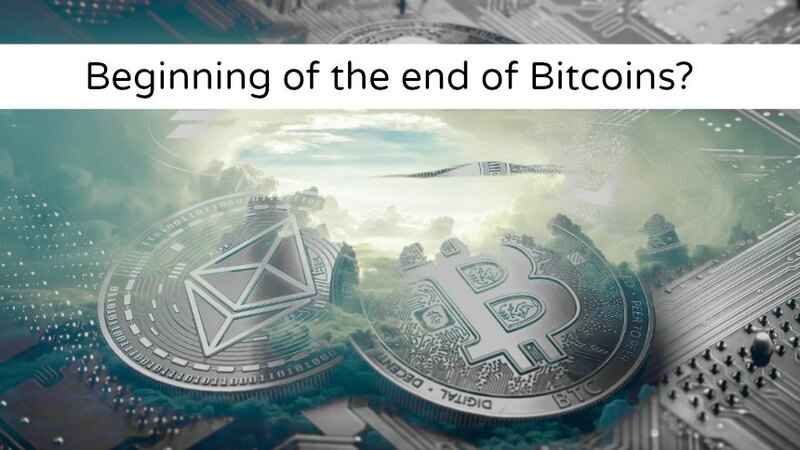 If cryptocurrency enthusiasts and entrepreneurs can’t convince the governments around the world that bitcoins and other cryptocurrencies have real-life applications, governments will come down really hard on them and make them obsolete. Crackdown by banks and credit card companies. JP Morgan Chase & Co., Bank of America Corp. and Citigroup Inc. has already halted bitcoin and other cryptocurrency purchases on their credit cards. Similarly, we have Capital One and Discover banning cryptocurrency purchases on their credit cards. Indian banks have gone two steps further. India’s biggest private lender HDFC, Kotak Mahindra Bank and Citi Bank have not only banned bitcoin (and others) purchases through their credit cards but also through debit and prepaid cards. Banning credit card purchases makes sense because a buyer may suffer big losses and may not be able to pay back the credit card companies. But banning purchases through debit and prepaid cards makes no sense. At the end of the day, it is our money and it is our choice on what we want to do it. Banks and the government should have no hand on how we use our money. Facebook banned any ads relating to cryptocurrencies such as ICOs, ads about cryptocurrency exchanges or anything relating to bitcoins and others, on January 30th. Alphabet Inc. followed suit by banning anything relating to the promotion of cryptocurrencies on its platform. It includes Google adverts, adverts on YouTube and any other third-party sites. I am guessing they won’t be showing any Google Adsense ads about ICOs on my bitcoin-related contents now huh. There were times when hundreds of processors were lined-up, assembled in multi-story racks, AC rooms that had 24*7 power in China, minting bitcoins worth millions every year. While they are still profitable since their electricity tariffs are low, it is not the case for other miners around the world. According to an article on Investopedia, mining one bitcoin costs as much as buying one. Interestingly, a city in New York, Plattsburgh, has become the first to impose an 18th-month moratorium on new mining operations as the electricity bills of local population shot up by up to $100 – $200 per head as they exceeded their allotted quota of energy and had to purchase it from the open market at significant premium. Bitcoin miners were blamed for it. The first bitcoin billionaires, the Winklevoss Twins have proposed an industry-sponsored, self-regulatory body that would police the cryptocurrency market.They proposed a Virtual Commodity Association (VCA) that would regulate the cryptocurrency market. As much as we all hate regulation, some sort of industry-sponsored and internationally credible regulatory body would make it more mainstream and acceptable to all, lest the governments around the world make it obsolete ( “delete ! delete ! delete !). Venezuela has launched “petro” a cryptocurrency backed by country’s vast reserves of oil. Its President Nicolás Maduro’s said that each petro token will be backed by one barrel of the oil-rich nation’s petroleum, and claims that about 100 million petro tokens worth some $6bn will be issued. While some analysts are already dubbing it as “shitcoin”, it speaks a lot about the potential use of cryptocurrencies. Norway is reportedly working on a secret national cryptocurrency called “e-krone“. Even there are rumors of Indian digital currency called “Lakshmi“. Whether these national digital currencies – “petro” “e-krone” “Lakhsmi” would make bitcoins and other coins worthless aka “shitcoins”, or would complement them, in the long run, is yet to be seen. One thing is clear though, 2018 will be the toughest year for bitcoins. What do you guys think? Do ya’ll think bitcoin is worth investing in 2018? Comment below. 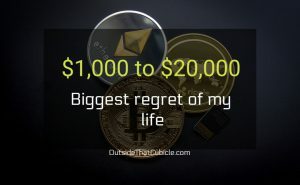 $1,000 to $20,000 – Biggest regret of my life ! Yes am telling that Bitcoin will be up again from December 2018 to few more years.